or visit one of the beautiful waterfalls. Krantzkloof Nature Reserve was proclaimed in 1950 and enjoys the highest level of legislative protection possible. Further land donations and implementation of D’MOSS have brought the area under protection to 668 hectares. The reserve contains a wealth of biodiversity with a very high level of endemism making it a critically important reserve in a heavily urbanised area. Other than the permanent Ezemvelo staff, the Honorary officers assist with various tasks around the Reserve. Various upgrades to the Reserve are made possible through funds raised by this group of volunteers. One such initiative is the ongoing sale of the Reserve Map, which is available at both picnic sites at R20 each. 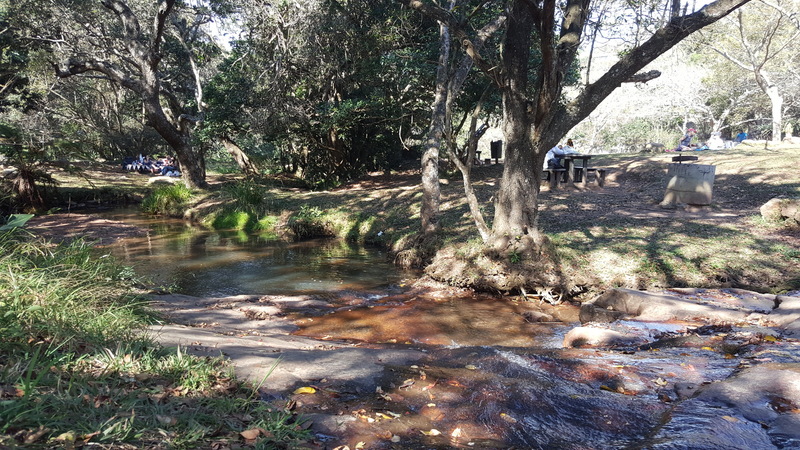 The annual 3 Falls Trail run, hosted in conjunction with Kloof Conservancy, is another source of income for these ongoing upgrades – the most recent bring the upgrade to the parking area at Kloof Falls picnic site carried out during 2018. 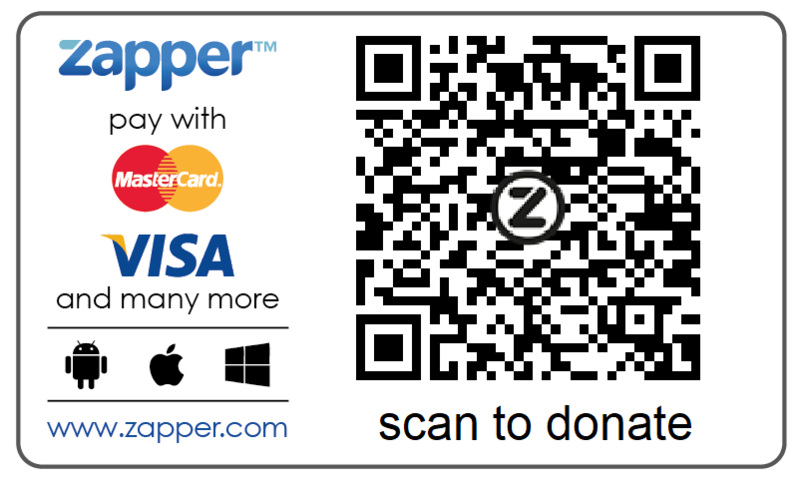 Donations towards Honorary Officer funds are welcome and can be made using Zapper. If you are interested in finding out more about the Honorary Officers, click HERE. – Krantzkloof has 2 picnic sites where visitors can relax on the banks of the Molweni or Nkutu rivers. There are braai and toilet facilities at both picnic sites. 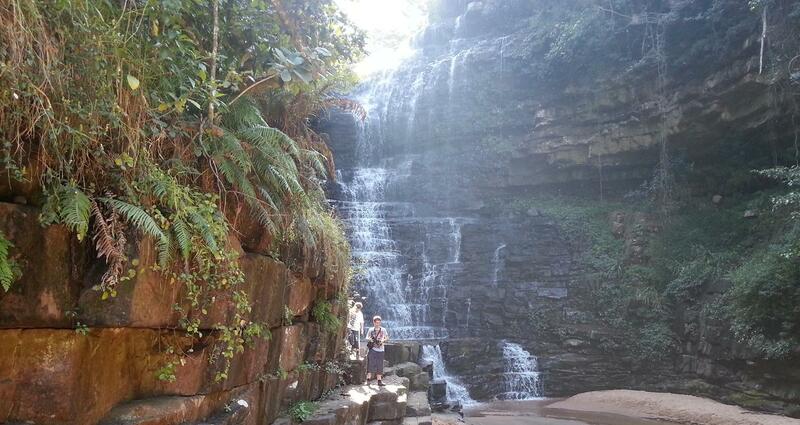 Kloof Falls picnic site is located along Kloof Falls Road between Kloof and Waterfall on the Molweni River. Open 365 days a year from 06h00 to 18h00. Nkutu picnic site is located along Valley Drive between Forest Hills and Waterfall on the banks of the Nkutu River. Open on weekends and public holidays ONLY. – The Kranztzkloof Conference Centre, which is managed by Kloof Conservancy, is located close to the Kloof Falls picnic site. 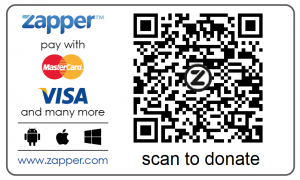 It is an awesome venue which is well suited for small to medium private or corporate functions. – The reserve has a number of self-guided walks which are marked with colour coded route markers to match the routes on the visitor guide and map which can be purchased at the picnic sites. 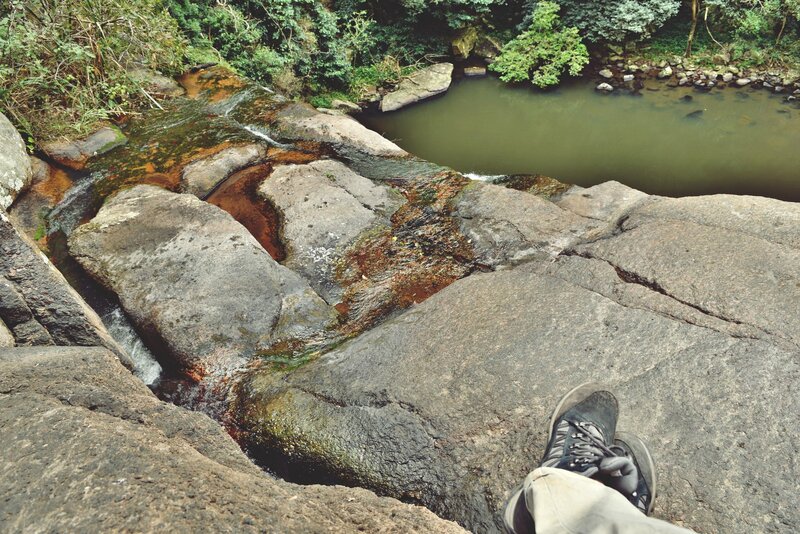 – There are also a number of popular rock climbing sites – people using these climbing sites are required to sign in and pay an entrance fee at the Kloof Falls picnic site before proceeding to the climbing sites. 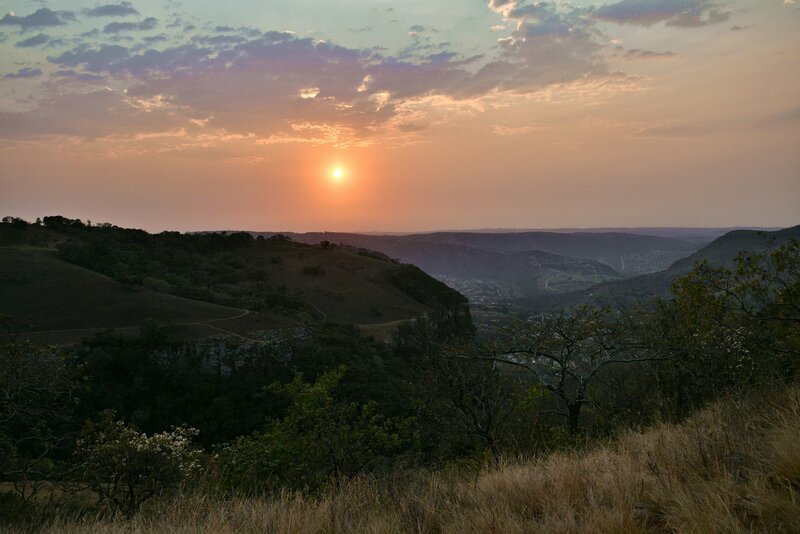 Krantzkloof’s breath-taking scenery is the result of deep incisions into the ancient Kloof Plateau by the Molweni and Nkutu Rivers – tributaries of the Umgeni, which in turn flows into the Indian Ocean at Blue Lagoon. Within the reserve there are three types of rock – Granite basement, Natal Sandstone, and intrusive Dolerites. The granite basement is most visible on the Molweni river bed where massive smooth granite boulders provide striking river scenery. Granite is composed of easily discernible crystals of clear, to milky, quartz, pink feldspar and black biotite mica. The Natal Sandstones were deposited above the granite layer approximately 490 million years ago towards the end of the Cambrian Period. The sandstone is most visible on the vertical cliff-faces forming the gorge. The dolerite intrusions have mostly weathered and eroded to leave behind a number of stunning “cracks” often a few meters wide and up to 50m deep. The Nkonka Crack on the Forest Trail is a good example of this. Click HERE for a detailed account of the Geology of Krantzkloof. The main river of the reserve is the Molweni River which is a perennial river and has its source in Springside Nature Reserve just 4km away. It passes through residential suburbs before entering the Everton Gorge. It flows under Kloof Falls Road at the Krantzkloof Conference Centre. From the Kloof Falls Picnic Site the Molweni falls into the main Kloof Gorge at the popular Kloof Falls which are the highest falls in the reserve. It flows along a granite base and exits into a fertile plain in Lower Molweni where it joins the Umgeni River near a spot called Marble Arches. The total distance of the river is approximately 16km. It is believed that the derivation of the name “Molweni” is from the Xhosa meaning “greeting”. The Molweni has 7 tributaries the largest of which is the Nkutu River which has formed its own spectacular gorge. The other perennial streams are iNgungumbane, Mpithi, Ronald’s Kloof, Uve, iNgolube and the Nkonka. There are 9 major waterfalls all of which are accessible from the marked trails. 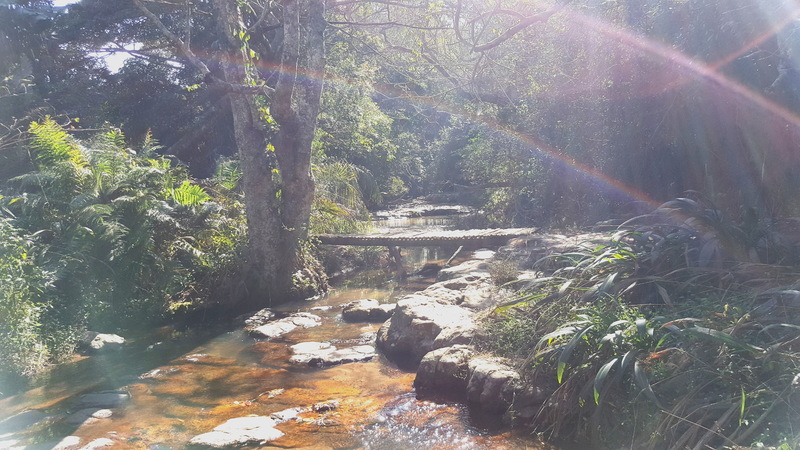 The reserve has a range of biomes from richly wooded Scarp Forests, Riverine Forests to the highly threatened KZN Sandstone Sourveld Grasslands. Due to the sheer cliffs and many inaccessible nooks and crannies which have protected the flora and fauna, the reserve is a biodiversity treasure trove including 50 mammal, 253 bird, 35 reptiles, 150 butterfly, 273 tree and over 1500 plant species. The reserve hosts many rare plants such as the Natal Sandstone-quince (Dahlgrenodendron natalense), Brachystelma natalense and the endemic Streptocarpus molweniensis. Nature lovers will also delight at finding some of the smaller creatures such as the delicate endemic Ruby-footed Black Millipede (Doratonagus rubipodus). The reserve is also home to Crowned and Wahlberg’s Eagles which breed here as do Lanner and Peregrine Falcons making any visit an exciting adventure. On the trails you will find numerous BioGuide plates which you can access with a smartphone to look-up information on 30 of the most significant species/features of the reserve.